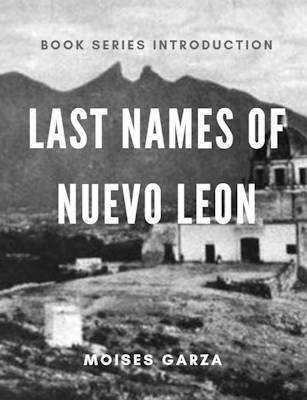 One of the earliest last names of Nuevo Leon is that of Montemayor and today I want to tell you about my latest book that focuses on this last name. 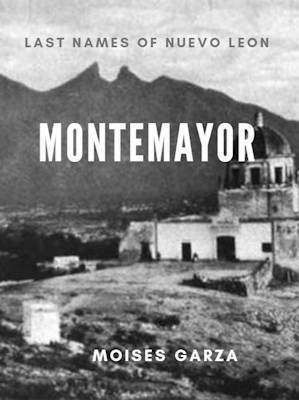 It is titled "Montemayor" and is part of my book series Last Names of Nuevo Leon. I became interest on this last name when I discovered that my 12th great grandfather was Diego de Montemayor. I also discovered that I descended from two of his wives; Ines Rodriguez and Juana Porcayo de la Cerda. 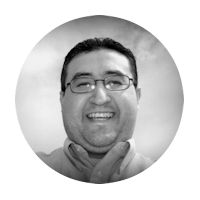 Diego is considered to be the progenitor of the Montemayor last name in Nuevo Leon, Tamaulipas, and South Texas. Of course his descendants are nowadays all over the world. 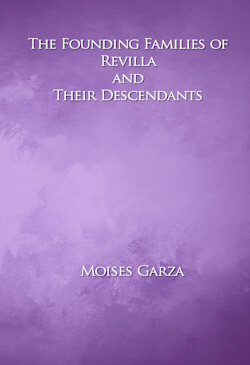 This book contains seven generations of descendants of Diego de Montemayor and his three wives Ines Rodriguez, Maria Esquivel, and Juana Porcallo de la Cerda. It covers the time period of the middle 1500s through the early 1800s. 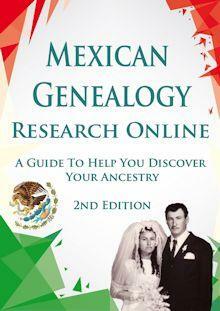 It is 413 pages and is full of genealogical information that includes sources for the facts listed. 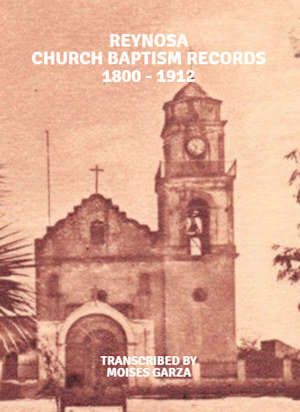 This book contains seven generations of descendants of Diego de Montemayor and his three wives Ines Rodriguez, Maria Esquivel, and Juana Porcallo de la Cerda. 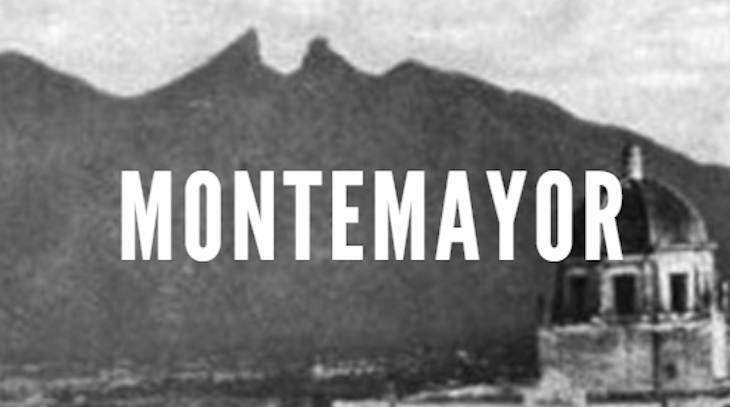 In 1596 Diego de Montemayor founded Monterrey and is also considered to be the progenitor of the Montemayor last name in Nuevo Leon, Tamaulipas, and Texas. 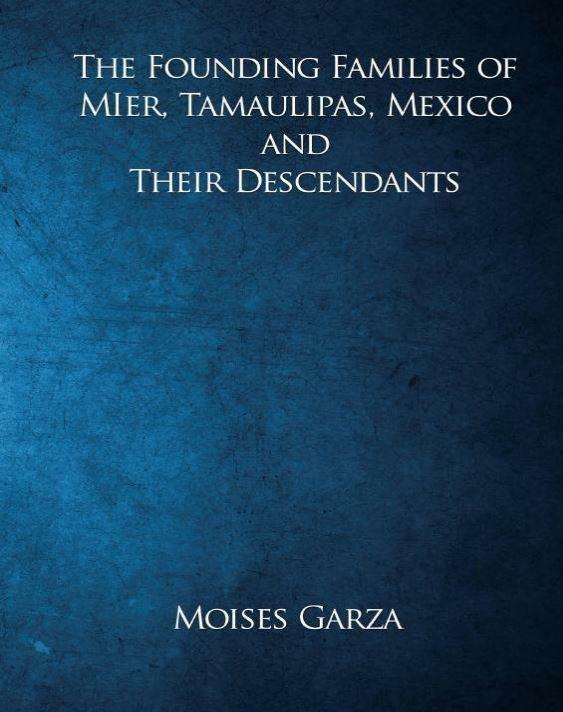 "This book contains seven generations of descendants of Diego de Montemayor and his three wives Ines Rodriguez, Maria Esquivel, and Juana Porcallo de la Cerda". Any last name Vela or Galvan ? Vela is coming next year. On Galvan I need more research. I may have given you this information before but I am finding at the age of 85 that my memory isn’t as good as it used to be. 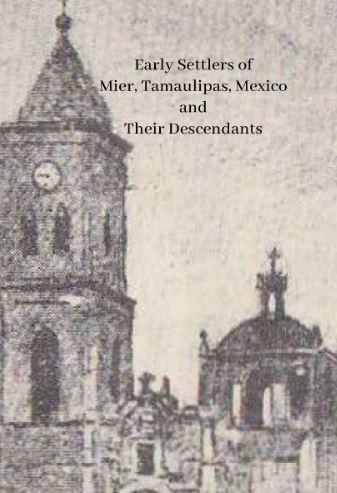 Diego Montemayor was my 11th great-grandfather. His daughter (with Juana Cerda) Estefania married my 10th great-father, Alberto del Canto. I have traced Juana Cerda’s maternal genealogy back to Henry II of England. Hi Betty, I have not gone that far yet.